Enzymatically rich therapy for deep stimulation and detoxification. A great many joys accompany motherhood, but skin changes are not one of them. This exfoliating mask deep cleans pores, refines skin texture and is a gentle, effective treatment for hormonal skin problems. And, it’s free of retinoids and salicylic acid. MyChelle's Incredible Pumpkin Peel has been chosen as an Editor's Pick in the peel category. 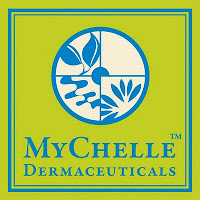 Natural Solutions applauds MyChelle for creating a fabulous product that's not only free of unnecessary chemicals and harmful toxins-it also stood out as a top performer against the many other nontoxic peels they tested! Organic Cucurbita Pepo (Pumpkin) - Antioxidant, infuses the skin with phytochemicals and fortifying compounds that strengthens cellular responses, accelerates exfoliation processes. Lactobacillus/Cucurbita (Pumpkin) Ferment Extract - Promotes even exfoliation by maintaining even hydration and bacteria that convert elements into lactic acid to re-hydrate the skin. Organic Honey - Prevents infectious material from spreading into healthy pores through anti-bacterial and anti-fungal actions, attracts dirt and deadened cellular debris to provide cleansing actions that maintain clear skin. Organic Zingiber Officinale (Ginger) Root Oil - Stimulates detoxification and micro-circulation, purifies blood and lymphatic fluid (expedites the healing of acne), provides anti-bacterial and anti-fungal actions.